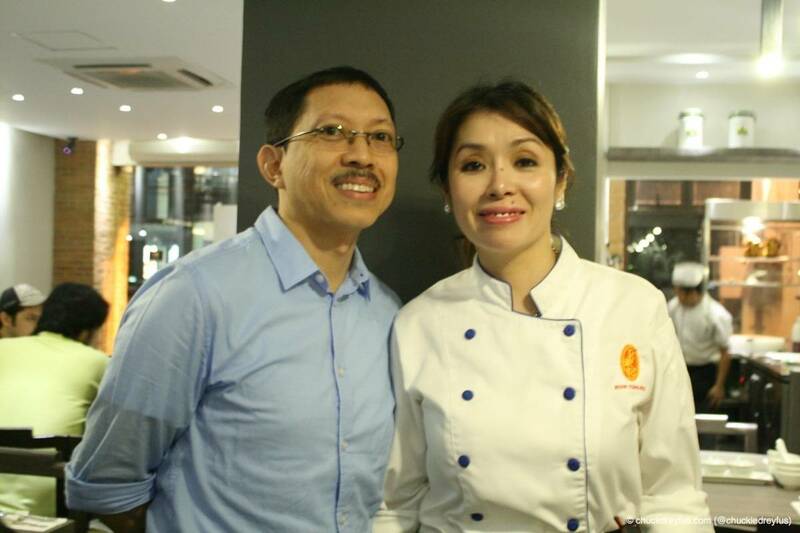 We were able to meet the wonderful couple behind BOON TONG KEE – Michael & Joy Rodriguez. Michael & Joy were awesome hosts. 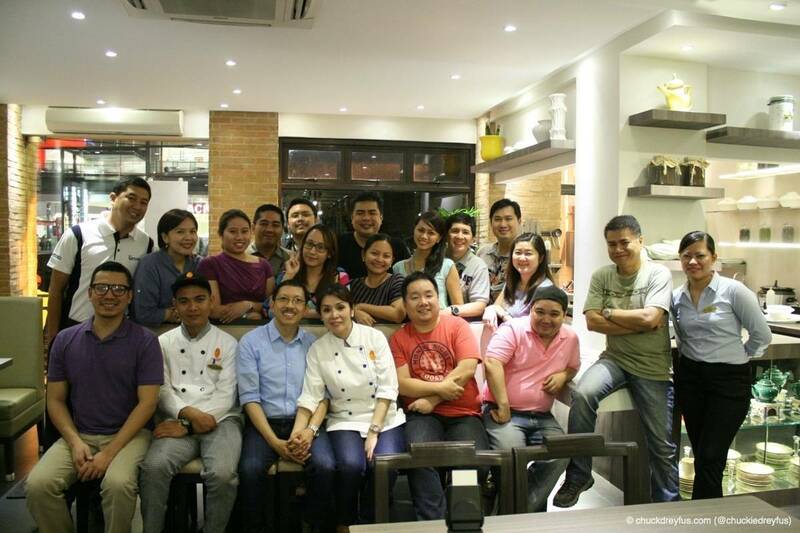 They actually took the time to explain how their ingredients are painstakingly prepared as well as shared a few stories which we enjoyed listening to while eating. After a good amount of time exchanging pleasantries, the dishes started coming in… so, let’s get to it! 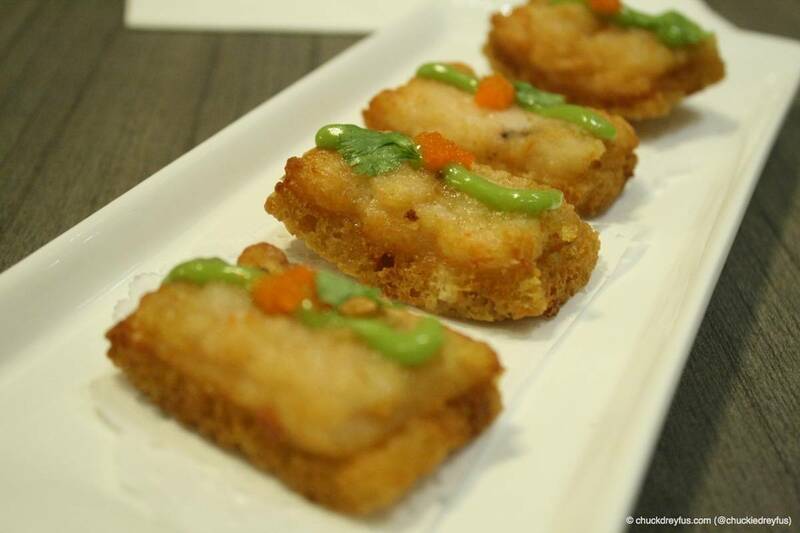 It’s exactly what it’s called – Prawn Toast. 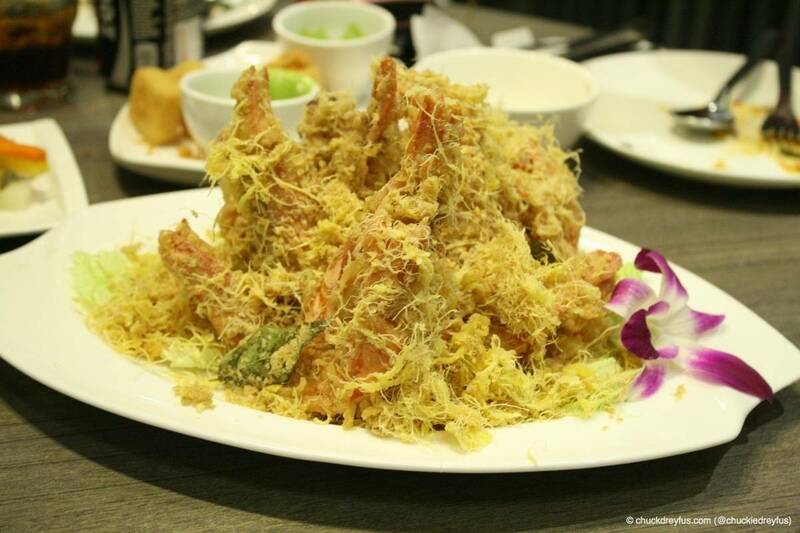 A delicious appetizer of shredded prawns inside crunchy flavorful toast. The green tea mayo on top of it was delicious! I enjoyed this particular dish. Anything tofu falls right up my alley. It’s something I’ve grown to love especially during those gruelling months when I was on a strict diet. 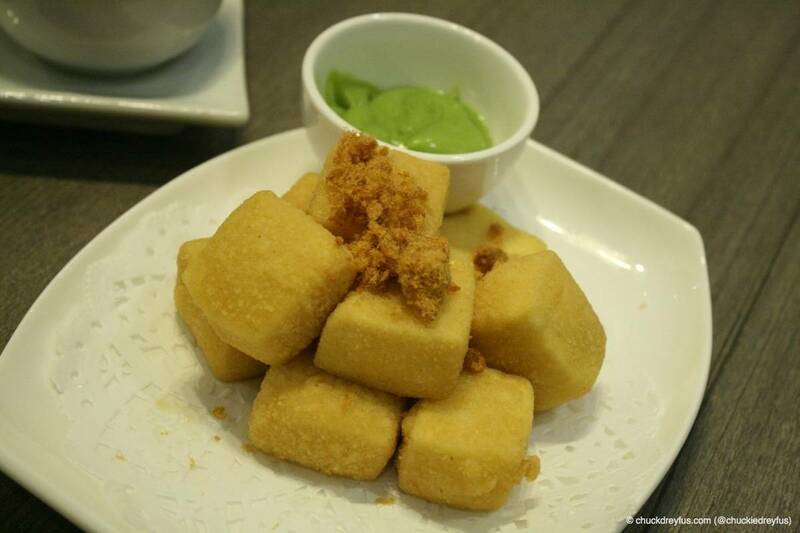 The Crispy Beancurd was slightly crunchy on the outside while the tofu is deliciously hot and soft inside. It also comes with a good amount of green tea mayo on the side (which I encourage you to use) to give the dish extra character. People with unsafe levels of uric acid or those suffering from gout should be a tad careful when eating this appetizer. Baka mapasarap eh. Haha! I enjoyed this soup a lot. I kinda felt like Popeye because of the huge amounts of spinach mixed into the soup. 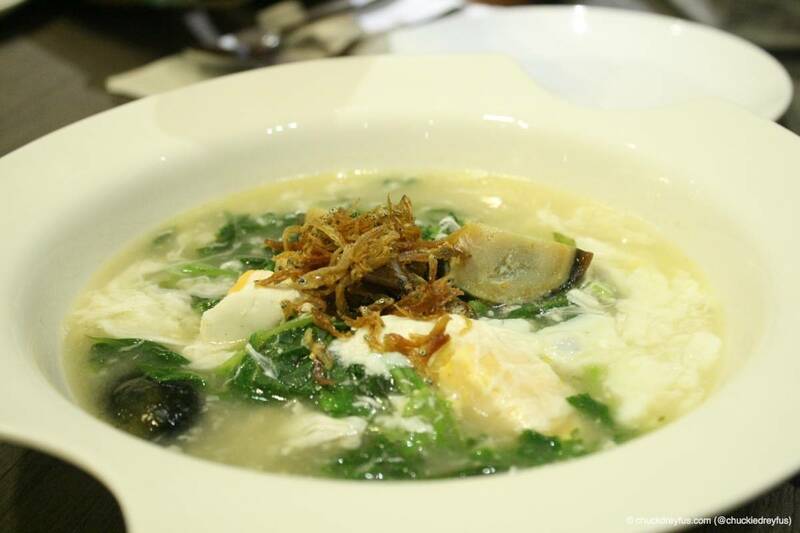 And because I eat egg all the time, it isn’t any wonder that this soup, which contains regular chicken egg, duck egg & century egg, immediately became one of my fave dishes. I think I had a couple of servings of this dish. I loved the asado-ish taste of the pork combined with the soft warm bun! 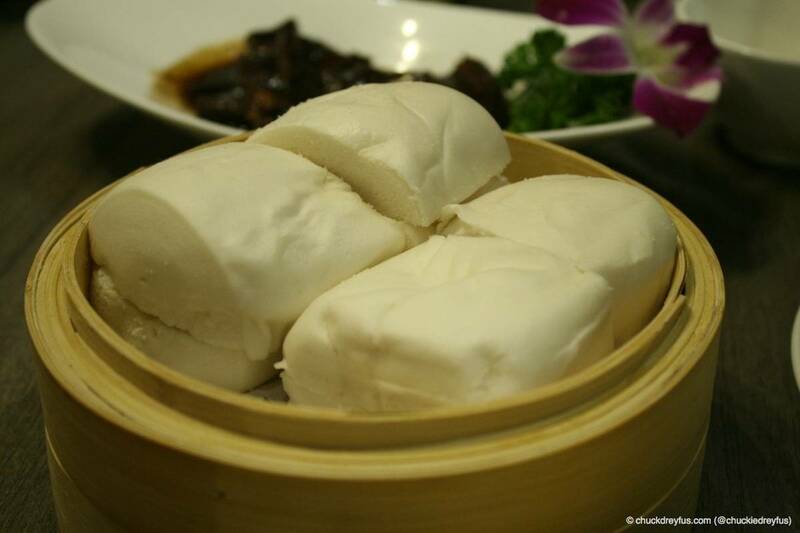 It actually kinda reminded me of Ramen Bar’s “Kanuni Buns” which I also fell in love with. Yes. I love buns. Especially the firm and supple kind of… ummm… oh ok… I thought it was those kinds of buns. LOL! 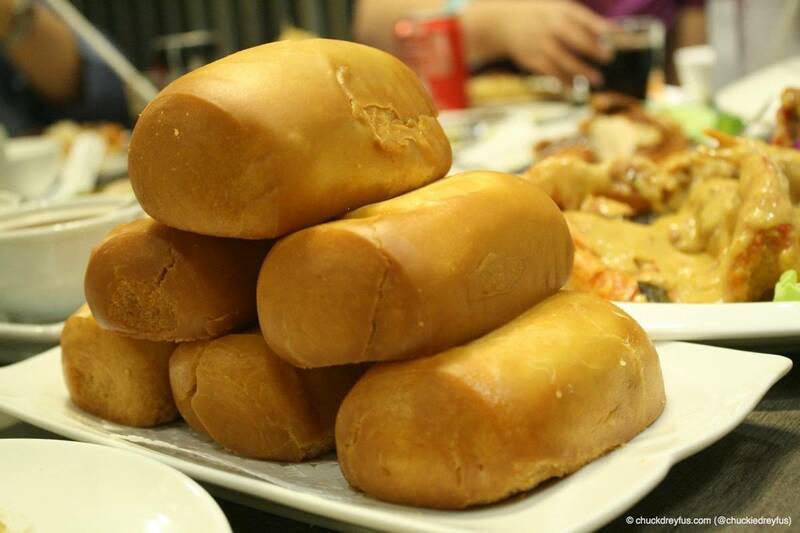 But yeah… I love BOON TONG KEE’s buns, too! Kangkong… one of the very few vegetables I actually don’t mind eating. I enjoyed this next BOON TONG KEE specialty. I didn’t notice it right away when it was served because I was still busy eating more Braised Pork and Buns. This dish was very flavorful and full of texture. Chicken used to be my best friend when I was on a diet. It was one of the kinds of meat that I was only allowed to eat for a span of 3 months. So, I had no problem at all when BOON TONG KEE brought this dish in next. 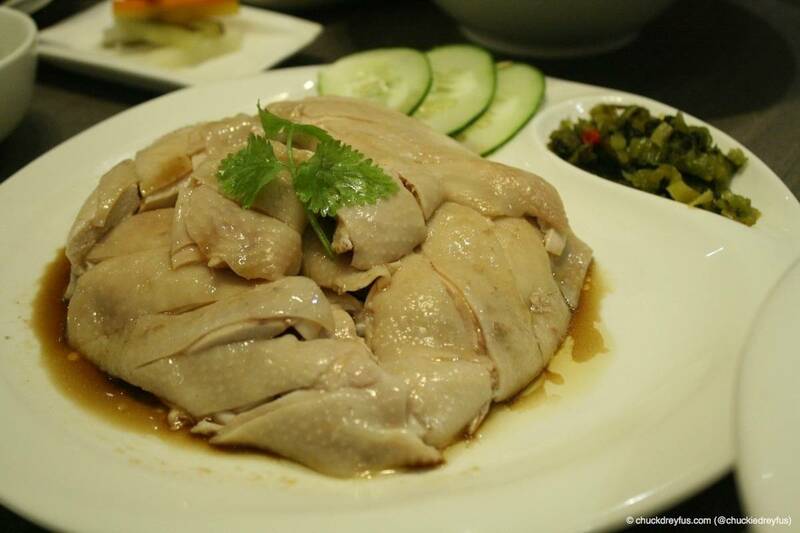 Their Signature Boiled Chicken is one of BOON TONG KEE’s awesome specialties. 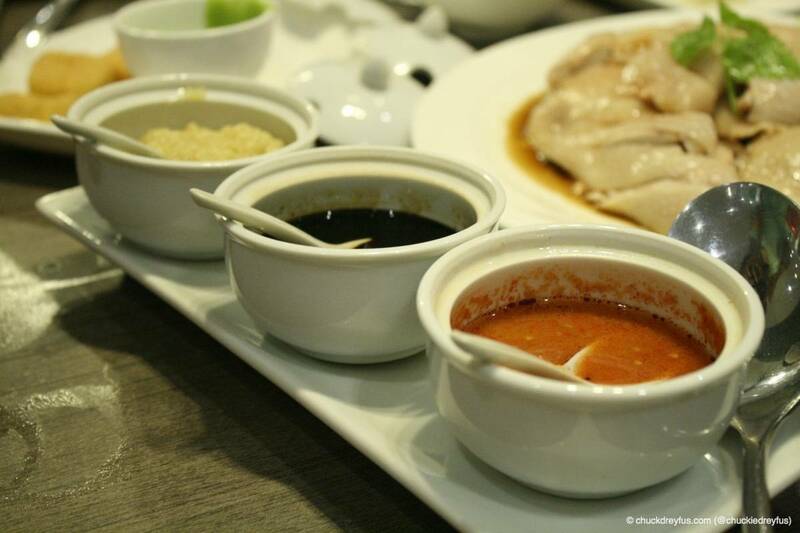 It comes with 3 kinds of sauces – chili, sweet soy & ginger oil. And though we were encouraged to try all 3 of them, eating the chicken alone was delicious enough already. I guess I’m sometimes like that when it comes to food… the less complicated, the better. This is most definitely a must try. 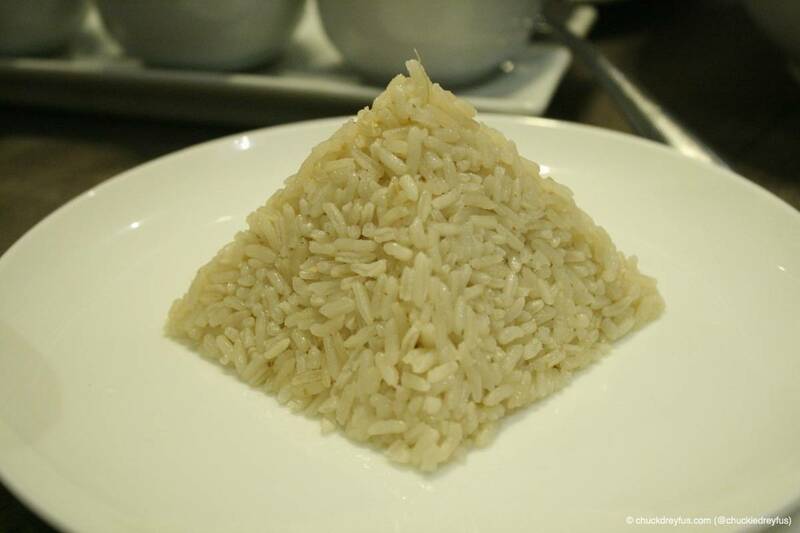 BOON TONG KEE serves their rice in the form of a pyramid. Why? Because they can! LOL! It’s actually amusing. Instead of the traditional bowl or mound of rice on a small platter, they opted to go “Charice Pempengco” on their rice and made it a pyramid. The highlight of my evening! 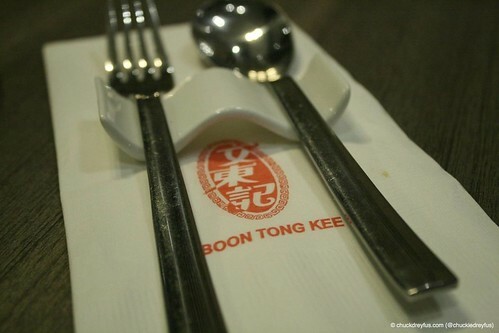 I was actually waiting for this BOON TONG KEE specialty to be served. In fact, I was saving some space for it in my tummy because I love Cereal Prawns. 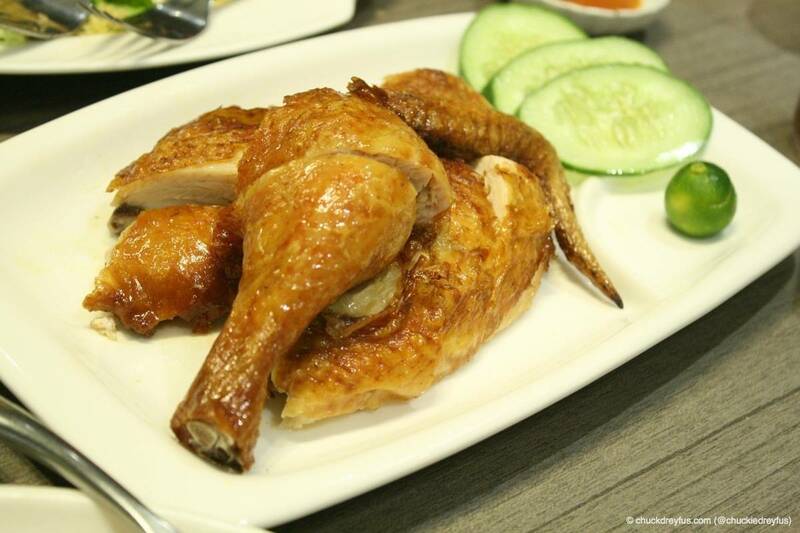 I was eager to know how good BOON TONG KEE’s version of this dish is compared to other restaurants that serve it as well. It was, in my opinion, the best Cereal Prawns I’ve ever tasted. Even my wife would probably agree. 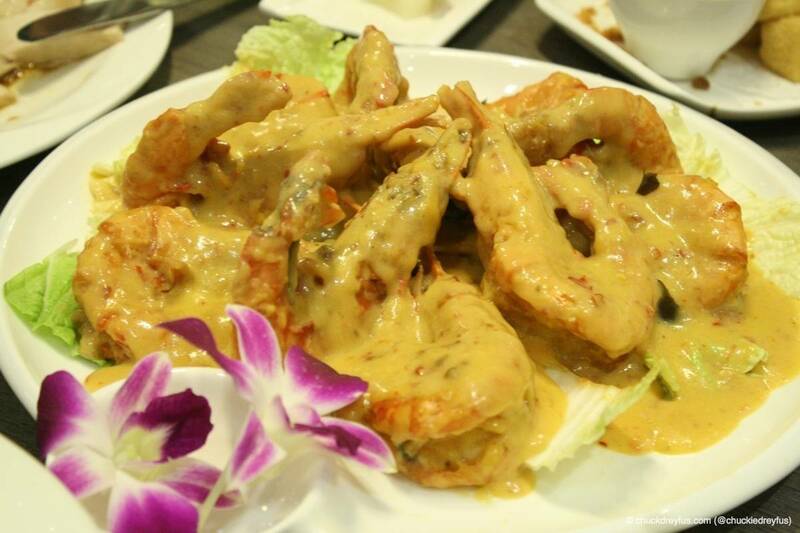 If you’ve tasted Cereal Prawns in other restaurants before, best to hold back on your verdict until you’ve tasted BOON TONG KEE’s take on this popular dish. WOW! Wow lang. Just when I thought we were about to wind down and prepare for dessert, MORE food starting coming in from the kitchen. OMG! The Imperial Pork Ribs were deeeelicious! How could I ever say no to ribs? No way this was getting away from me. MORE Prawns!!! The creamy cheese kind this time. This BOON TONG KEE dish was rich and generously smothered in flavorful cheese. Another must-try! 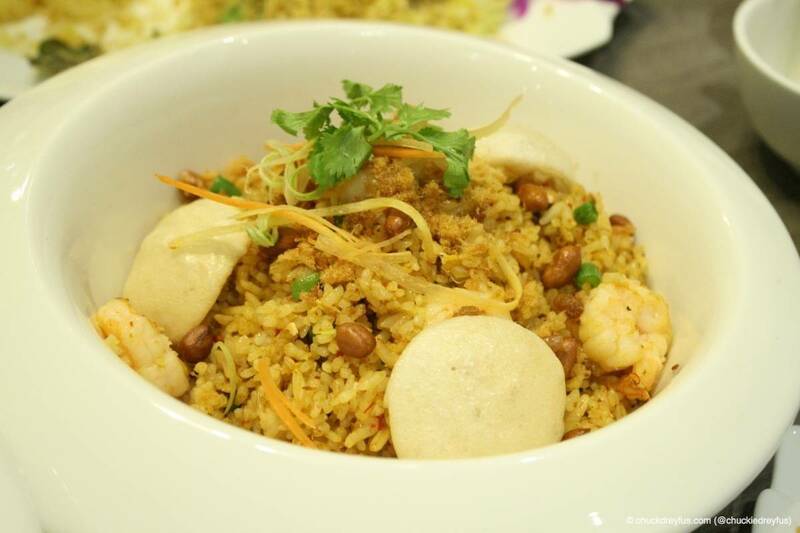 The Sambal Fried Rice was brought in to compliment the Creamy Chese Prawns. I absolutely loved the peanuts mixed into this dish. Lots of texture and flavor. Actually, the Sambal Fried Rice is a whole meal in itself. More food! A different kind of chicken dish this time… crispy roast goodness! About around this time, I was just thinking of how to make more space in my tummy for the seemingly unending deluge of food. I really don’t know why this dish is called “Birthday Noodles”. Perhaps because noodles are traditionally served during birthdays to signify long life? 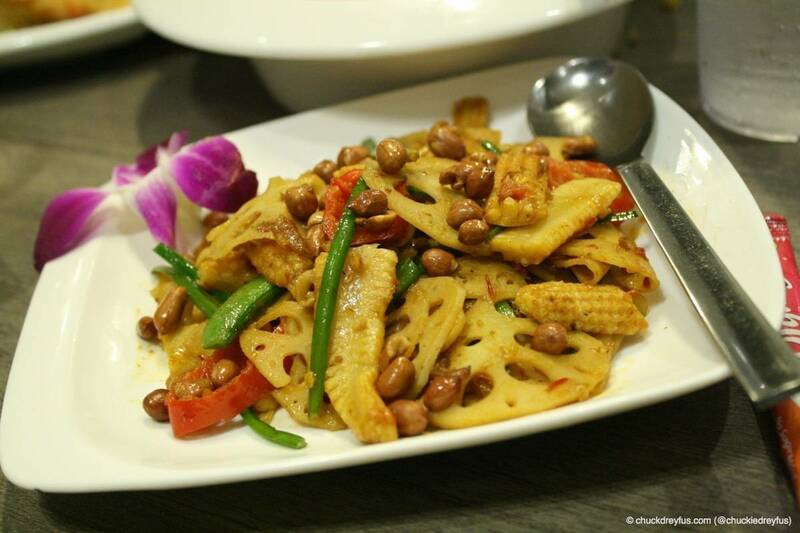 All I know is that these noodles, just like the long list of dishes served before it, were very tasty. BOON TONG KEE didn’t hold back on the ingredients as well. 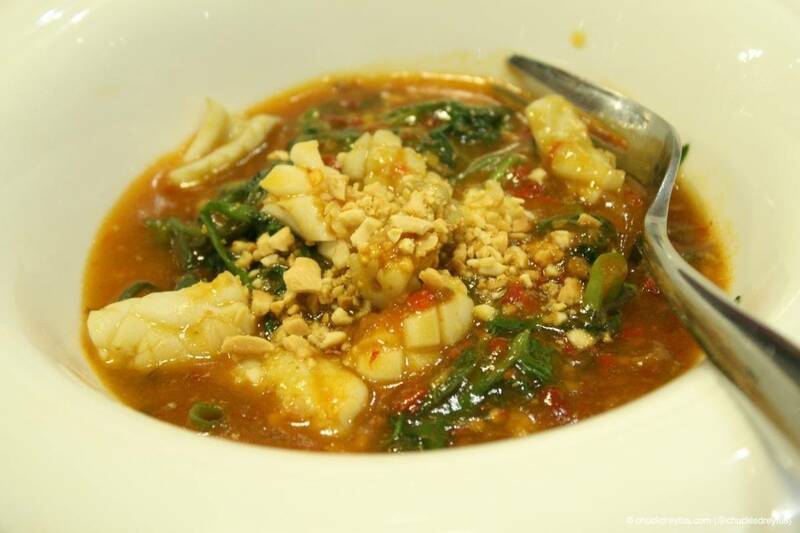 BOON TONG KEE’s Stir-Fried Lotus with Sambal Sauce was unusually different. This kind of dish isn’t something that I’d automatically order in a restaurant right off the bat. I’m a simple guy who just loves simple uncomplicated dishes most of the time. So, for the sake of trying out something even just once and with the constant prodding of my wife, I naturally indulged. I was really happy I did cause I liked it. Maybe not as much as how my wife loved the dish but I did! Here’s to adventurous eating! You know what they say… “you save the best for last”. 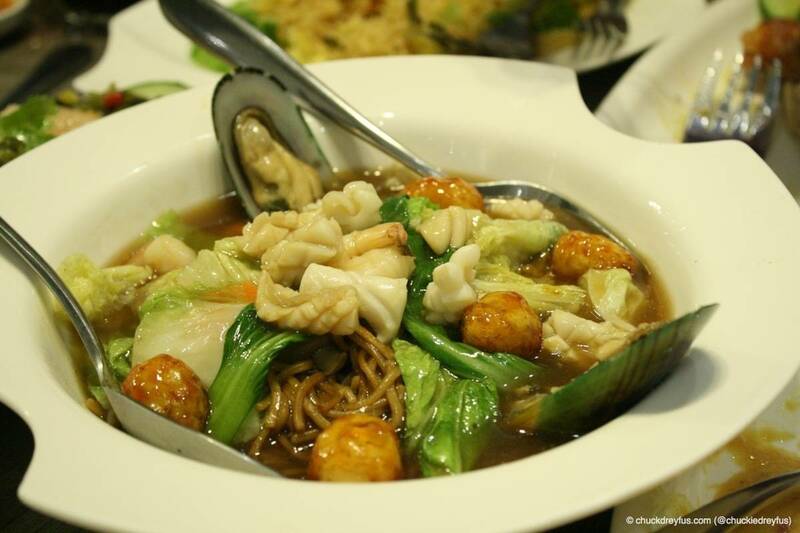 And that’s probably the reason why BOON TONG KEE served their prized specialty at the very end. 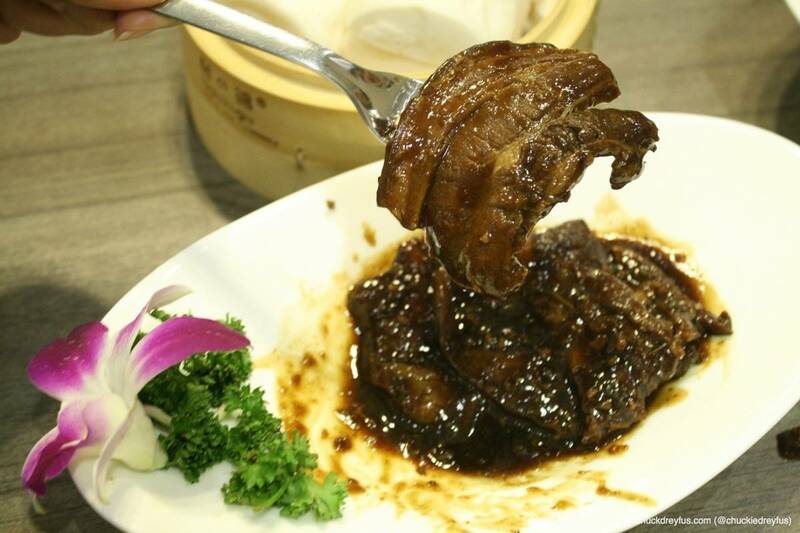 The Coffee Pork Ribs was flavorful, sweet and very distinct. The pork is served with no bone at all – just slice away and enjoy. The coffee taste was very evident. 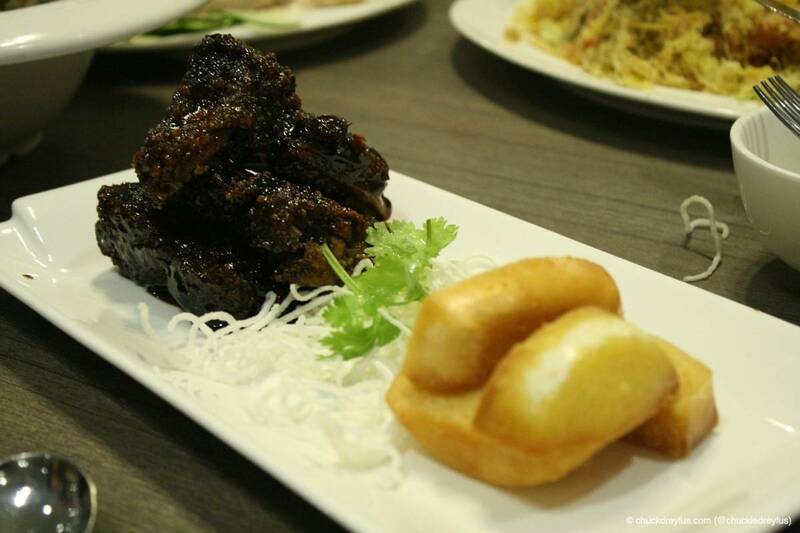 I loved BOON TONG KEE’s Coffee Pork Ribs a whole lot and look forward to bringing our entire family over to try it out as well. 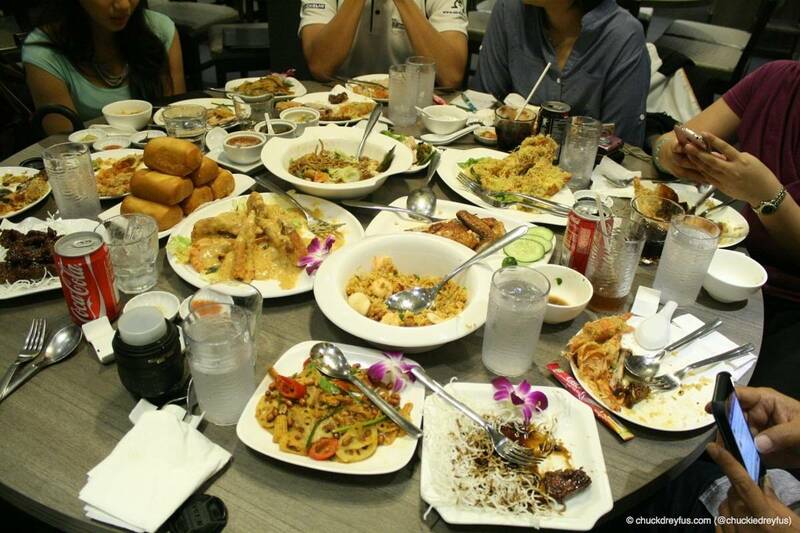 Like I said earlier, the food served to us was in absolute abundance. In fact, overflowing is quite an understatement. 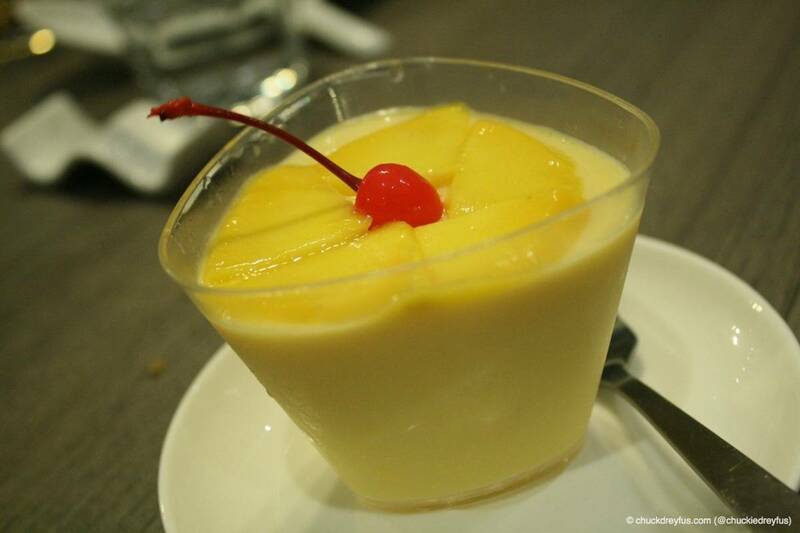 A wonderful dinner with ridiculous amounts of outstanding dishes call for equally outstanding BOON TONG KEE desserts to cap off a perfect evening. I already mentioned earlier how much I love soya and tofu, right? 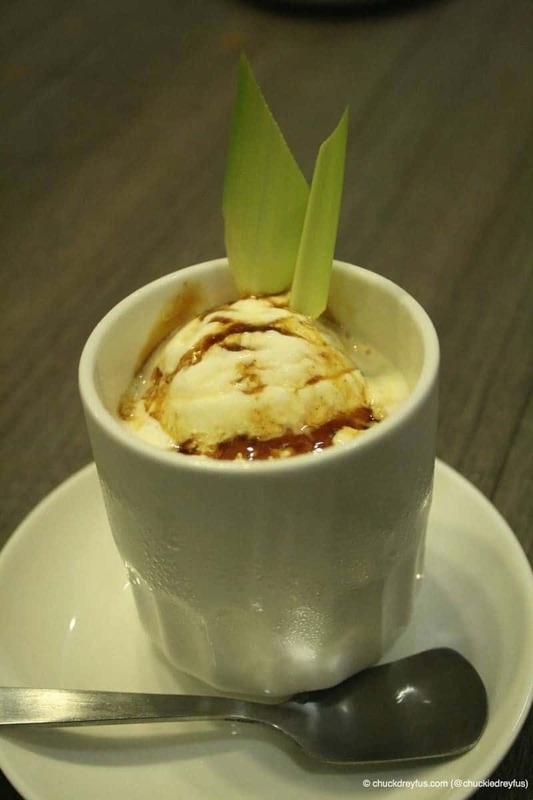 So, Mango Taho? No doubt about it! This was love at first… ummm… scoop! I was planning on holding back a bit on the desserts but as soon as I tasted the Sagu Gula Melaka with Vanilla Cream once, I realized it was impossible not to have more of it. What’s funny is that, as I was posting all these dishes on Instagram realtime, a friend of mine actually left a comment and asked me if I already tried the Gula Melaka. Hmmm… seems this particular dessert has made an impact with previous customers already. 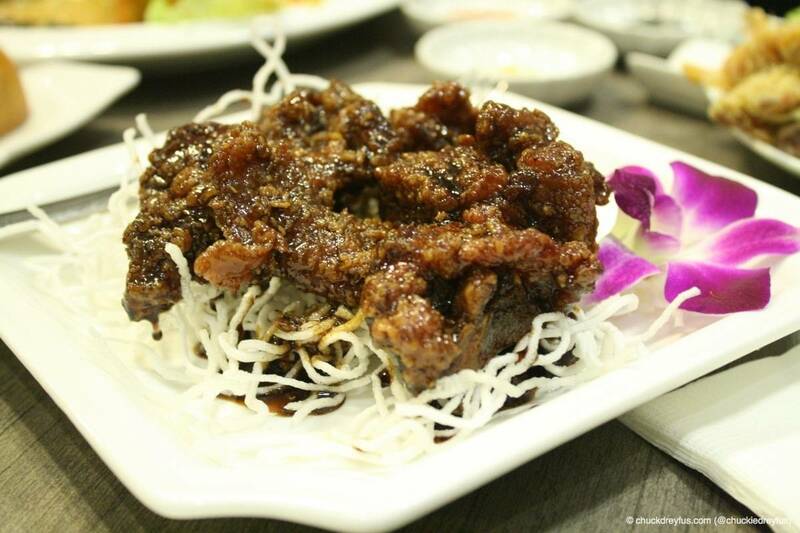 Make sure you order this sweet and irresistible BOON TONG KEE specialty when you visit. Naturally, we had a few photos with taken with friends to remember this evening by. I couldn’t ask for more… except for probably “more” moments like these in the future. Wow. 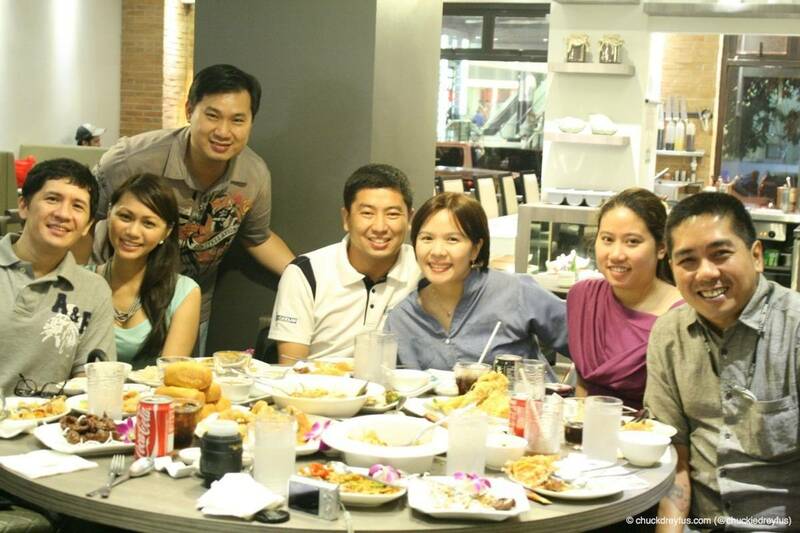 I swear I could feel the various kinds of food dancing inside my tummy like a gastronomical fiesta. I’d like to thank our hosts for the evening, Michael & Joy (Rodriguez) – the wonderful and very entertaining owners of BOON TONG KEE (who also happen to be the same owners of Burgoo). 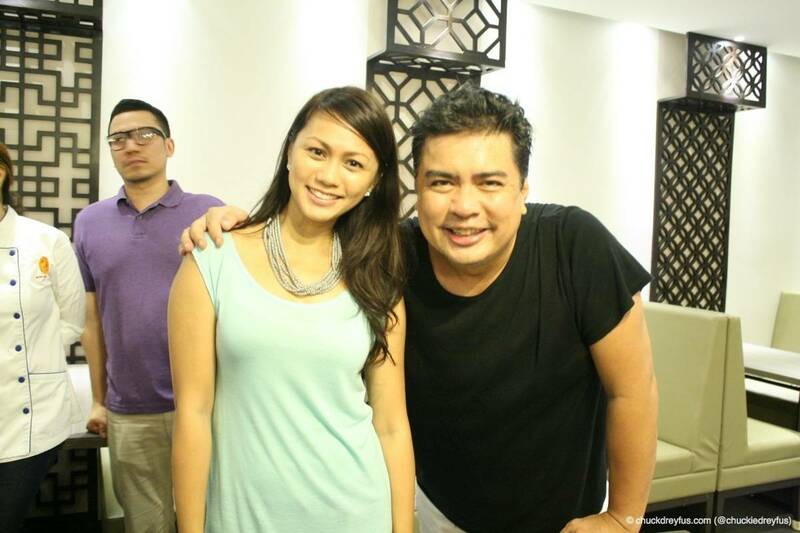 Thank you also to Spanky Enriquez for inviting us over to this “over the top, eat till you drop” dinner… (Salamat, Spanky! 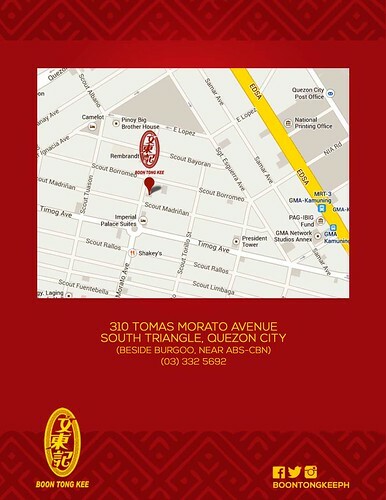 I’ll make sure to make labatiba right before our next dining adventure para mas prepared ang tiyan ko! Mwahahahaha!). 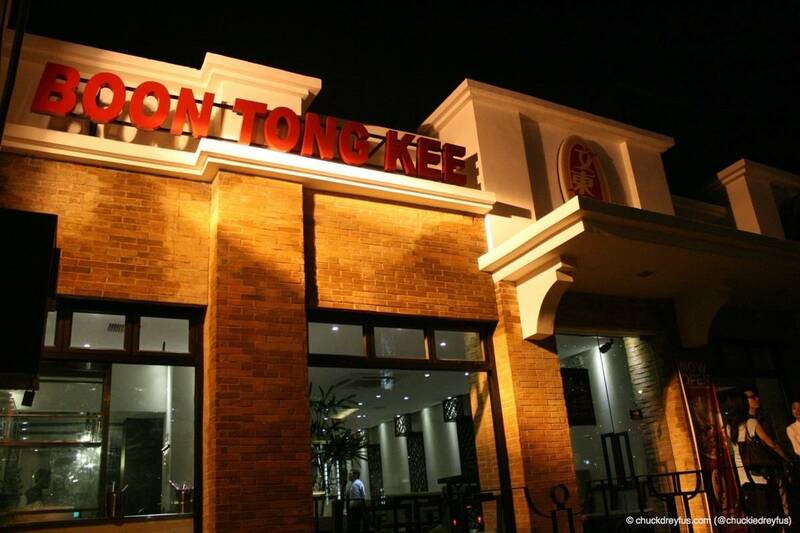 But folks, seriously… If you’re looking for a place that serves wonderful food in good portions without the bloat that comes after a good, filling meal, then you just have to try out BOON TONG KEE. Bring family and friends… I’m pretty confident they’ll thank you for taking them there. Thank you, BOON TONG KEE! Your food is absofrickinlutely amaaaazing!